Tsum Tsum Plush News! 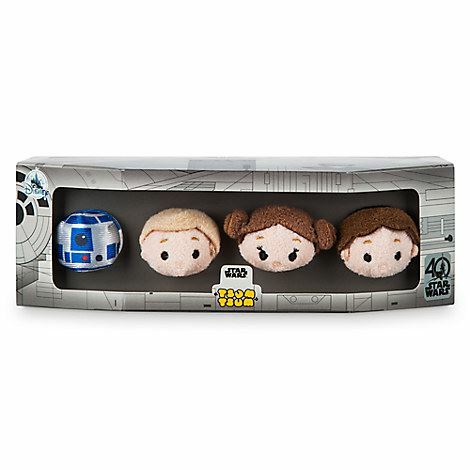 Star Wars 40th Anniversary Micro Tsum Tsum set now available! Today is the 40th Anniversary of the release of the original Star Wars movie and to celebrate the Disney Store has released some new merchandise including a Tsum Tsum Micro Set! Tsum Tsum Plush News! Tangled the Series Tsum Tsums coming to the Disney Store, Goofy Movie and Pixar Tsums coming to the Japanese Disney Store! 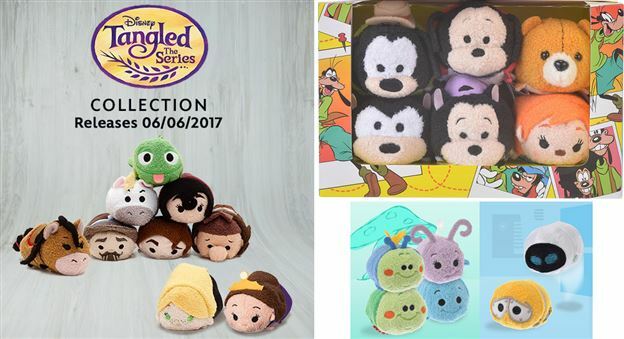 Thanks to the UK Disney Store website we now have official confirmation the Tangled: The Series Tsum Tsums will be released there on June 6th. The Japanese Disney Store will be releasing a Goofy Movie set and the Pixar set on May 25th! Tsum Tsum Plush News! Star Wars Micro Tsum Tsum set coming May 25th! 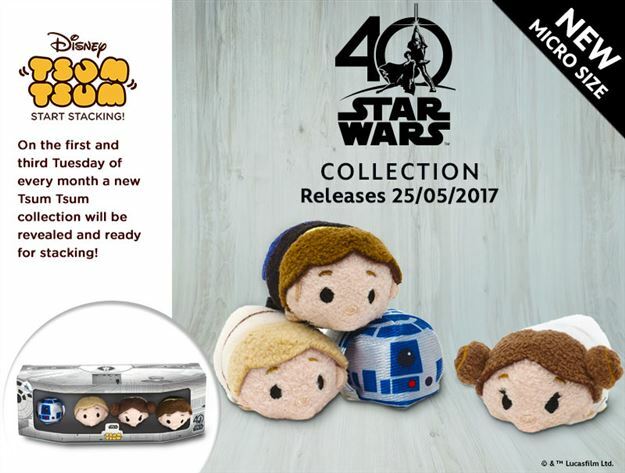 Thanks to the UK Disney Store we know a special Star Wars Tsum Tsum Micro set will be coming May 25th to celebrate the 40th anniversary of Star Wars! Tsum Tsum Plush News! Cars 3 Collection coming June 16th! 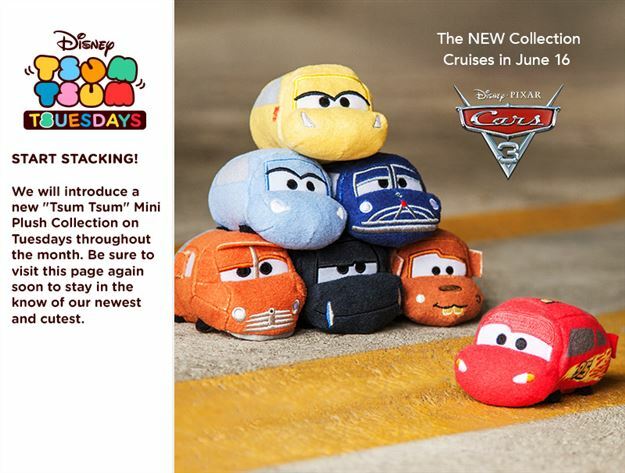 Today is Tsum Tsum Tuesday so not only did we get new Tsums released we also found out that a Cars 3 Tsum Tsum collection in coming June 16th! Happy Tsum Tsum Tuesday! Sleeping Beauty and Minnie Mouse Vacation sets released! Today is one of the best days of the month... Tsum Tsum Tuesday! The US Disney Store released the Sleeping Beauty set along with the Minnie Mouse Vacation Tsum Tsum set! Tsum Tsum Plush News! 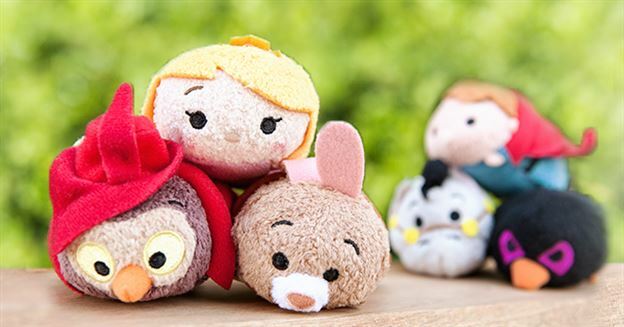 More information about upcoming Sleeping Beauty Tsum Tsums and more! Today the UK Disney Store updated their upcoming Tsum Tsum information and included a new Sleeping Beauty box set! Tsum Tsum Plush News! 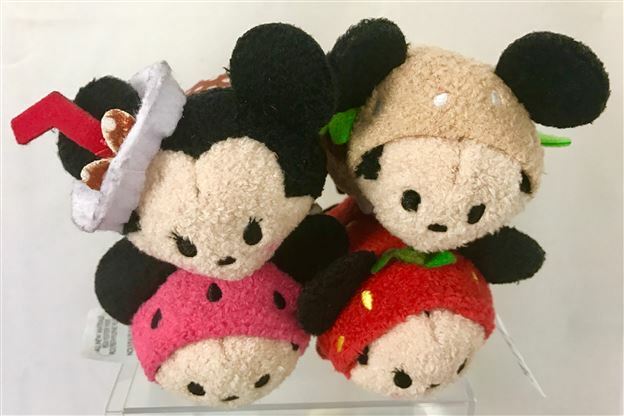 Summer Food Tsum Tsums appearing at Target! Over the last few days a new, never seen before set of Tsum Tsums have started to appear at Target stores! 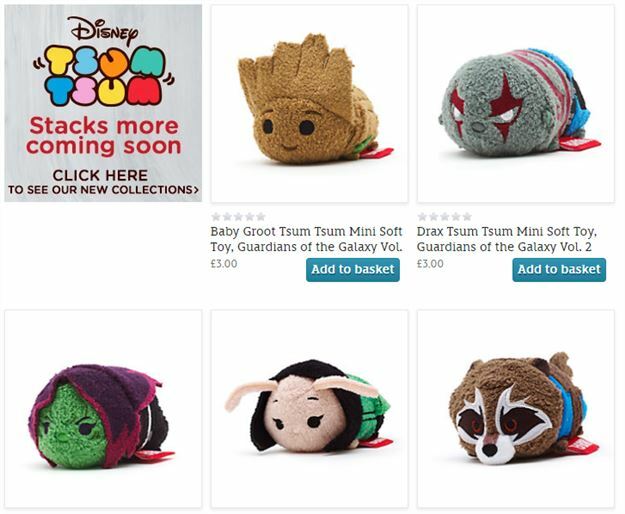 Marvel Tsum Tsum Game News! 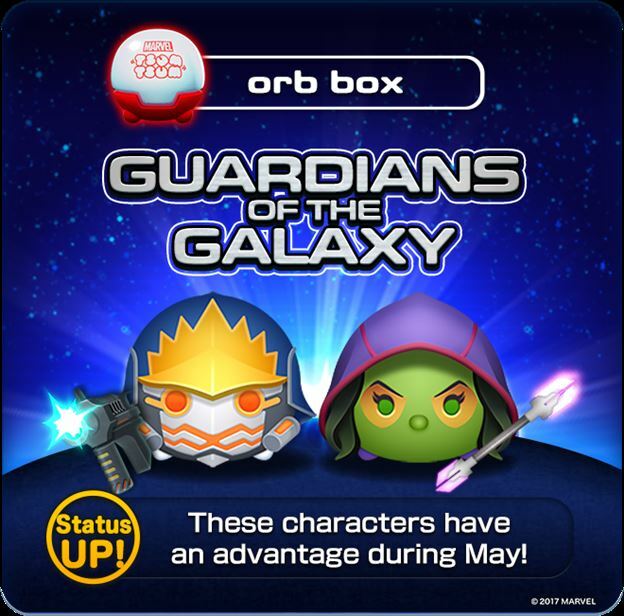 New Star Lord & Gamora Tsums added to Orb Box and Guardians of the Galaxy Event Coming Soon! Today new versions of Star Lord (Annihilation) and Gamora (All-New All-Different) were added to Orb Box and a Guardians of the Galaxy Event is Coming Soon! Tsum Tsum Game News! 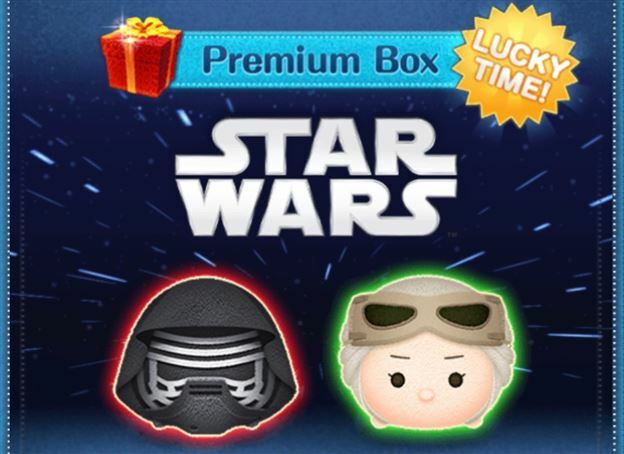 Rey and Kylo Ren added to the premium box! Today the International version of the Disney Tsum Tsum Mobile Game was updated to add Rey and Kylo Ren to the Premium Box!